Description 3-7-56 upper left corner; L.S.D.-1-12 upper right corner. West end of the lake, which was lowered when photo was taken. A bit of Lake Grove is visible on left. The Lake Grove Swim Park is in the lower left corner. 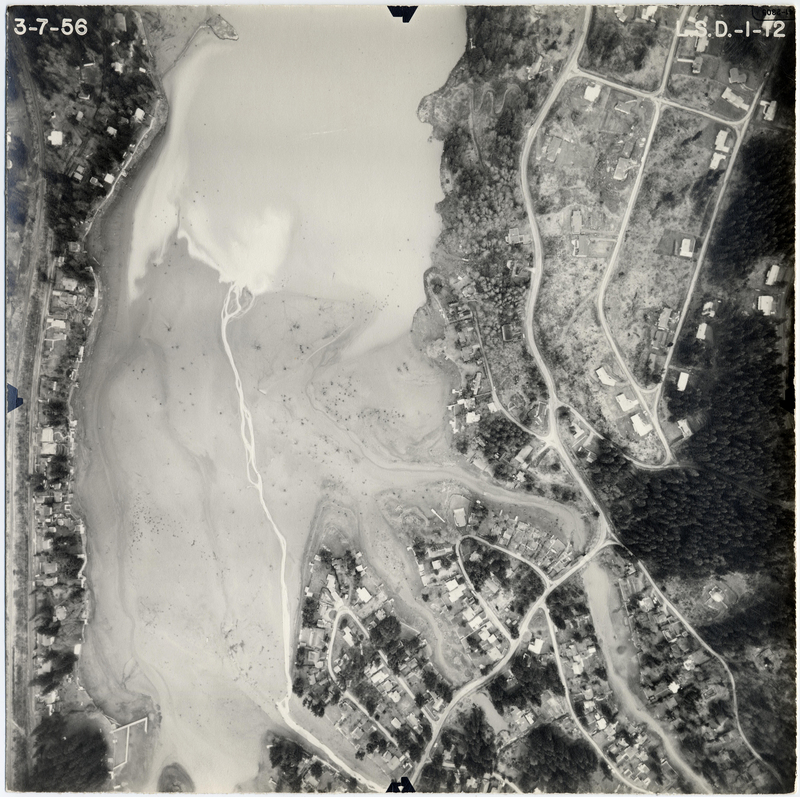 The ends of the Canal, Kelok Bay, and Blue Heron Bay are at the bottom of photo. South Shore Blvd. is the main road running along the right side of photo from bottom to top.